Michael Parks as Abin Cooper in Kevin Smith's "Red State." The guy should have gotten an Oscar nomination for this performance. Parks died May 9, 2017, at age 77. 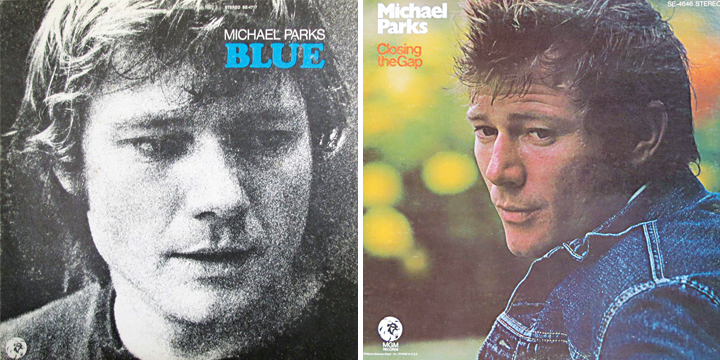 It was a sad day for the movies when we lost Michael Parks. Kevin Smith calls him the greatest actor in film, and — pardon the double-negative — I’m not inclined to disagree. Parks was gold. The weekend before he died, I happened to watch the 2016 Mel Gibson movie “Blood Father.” (Wallace Stroby lent it to me with the tepid recommendation: “I give this a 75 percent endorsement.”) Well, 75 would have been a little high — “Blood Father” was like a Sly Stallone movie with Mel Gibson instead of Sly Stallone — except for the fact that Michael Parks popped up. I was so glad to see him. He was magnificent as usual in this small role. Within a few days, I found out the California native died at age 77. I realized I’d taken him for granted. I didn’t know he was that old. I thought we’d get at least 10 more years of great performances out of him. Now there’s one less great actor in the world. Aren’t you psyched to see Tom Cruise in “The Mummy”? 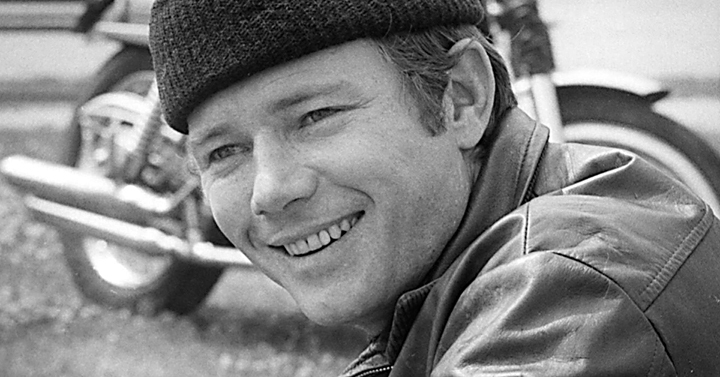 Parks in the title role of the TV series “Then Came Bronson” (1969-70). I think the first time I saw Parks was as Adam in John Huston‘s “The Bible” (1966). Our whole family went to a drive-in to see it. We were very Catholic. I don’t think our folks knew that Adam and Eve would be naked. Things were changing by ’66. But Parks really landed on our radar in “Then Came Bronson” (1969-70), a TV series about a dude seeking truth on a Harley. I think it was my brother’s favorite show. Then, it was as if Parks fell off the face of the Earth. I read later that he’d been blacklisted for talking trash about the Hollywood system in interviews. A real crime. Parks put out albums as a country singer. The song “Long Lonesome Highway” could be his epitaph. A new generation of filmmakers finally rediscovered Parks — chiefly Robert Rodriguez, Quentin Tarantino and Smith — and gave him some memorable roles in his final years, in such films as “From Dusk ‘Til Dawn” (1996), “Kill Bill Vol. 1” (2003), “Kill Bill Vol. 2” (2004), “Grindhouse” (2007), “Red State” (2011) and “Django Unchained” (2012). Even in a small role, such as in “The Assassination of Jesse James by the Coward Robert Ford” (2007) or “Argo” (2012, a blink-and-you’ll-miss-it cameo as artist Jack Kirby), Parks’ presence could enhance a film. When I saw “Kill Bill Vol. 2,” I was mesmerized by Parks’ performance as elderly Mexican pimp Esteban Vihaio. But I didn’t recognize him. Plus, in the same film, he also played investigator Earl McGraw — a character that, as with Richard Belzer‘s Munch, Parks played in several films — a little “in joke” among his hipster directors. Not much later, I found out that Parks had fooled me. He fooled me with acting. Watch that performance. Yes, there’s makeup involved, but it isn’t like Dustin Hoffman in “Little Big Man.” It’s subtle, believable. But mostly, it’s Michael Parks’ consummate acting that does the job. Anyway, thanks for the entertainment, Mr. Parks. And thanks for elevating the art of film acting. You were a voice in the wilderness on that front, and remained so.